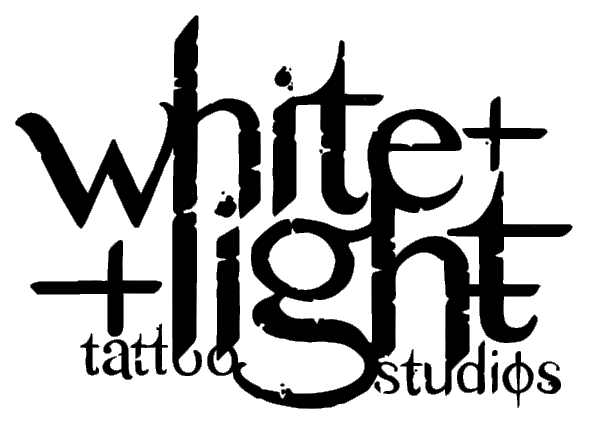 White Light Studios is a custom tattoo studio in the downtown proper of beautiful Bend, Oregon. Our focus is outstanding tattoos in a comfortable, friendly and clean environment. Every piece of art you receive at White Light is custom designed for you. We are a small studio providing an intimate one-on-one atmosphere. Whether it is a multi-session backpiece or just a little something for you we treat every client equally, never forgetting that the tattoo you wear is the most important one to you! White Light artists are committed to learning and growing their talents as much as possible while always maintaining a humble perspective. We pride ourselves with versatility, however each artist has their own unique style and it is important to view any artist’s portfolio before deciding who is right for you. White Light Studios is committed to the cleanliness of the conditions in which we perform tattoos. We use only disposable, sterilized equipment for every piece, big or small. We use only the most modern and least traumatic equipment available to ensure the most pleasant experience. Each and every day your health and safety is absolute top priority. White Light Studios is open from 11AM to 6PM Tuesday through Saturday for walk-in questions and consultations. Appointments can be made for any day and time that works with your schedule (within reason). Consultations must be done in person; initial appointments require deposits and cannot be made over the phone. Our artists tend to book up with appointments but we will do everything possible to accommodate the quick walk-in traffic. Come check out the studio sometime, we look forward to meeting you! © 2019 White Light Tattoo Studios. All Rights Reserved.